On October 10th Professor Alexandar L. Gungov, Associate Professor at Sofia University visited Institute of Economic Sciences. Franklin College,Lugano ,Switzerland ,July 2011. 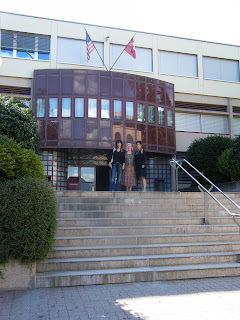 She signed an Agreement with the Faculty of Building Management ,Union University,"Nikola Tesla",June ,2011. 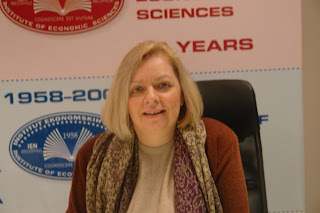 Prof.Mirjana will serve as a full professor ,mentor and teach Ph.D students there. 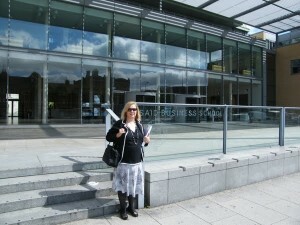 Prof.Mirjana Radovic Markovic has started to teach Ph.D student Peter Purcell at Akamai University,USA ,July 2011. She teaches him RES 500 :Survey of Research Methods. 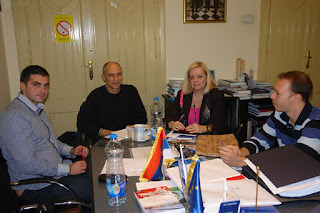 Prof. Mirjana is also an author of this Ph.D Program. 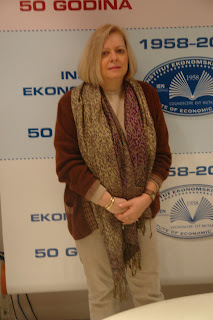 Meeting with ambassador of India Mrs. Nengcha Lhouvum,Institute of Economic Sciences,April 8,2011.Prof.Mirjana Radovic Markovic,Ph.D was host and she initiated the meeting. 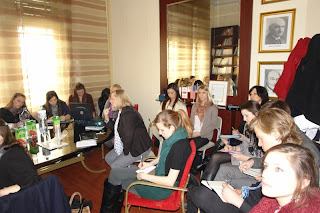 Prof.Dr Mirjana Radovic Markovic gave a lecture to Franklin College students,USA (Campus in Lugano,Switzerland)on March 11, 2011.She talked in front of 20 students about "Entrepreneurship with focus on Women as Entrepreneurs in Serbia". Picture 3. Prof.Dr. Mirjana Radovic Markovic gave a lecture on the topic: "Entrepreneurship and Women Entrepreneurship in Serbia"
In February 2011, Dr Mirjana Radovic Markovic ,full professor, has been elected to fellow (full membership) inthe World Academy of Art and Science(in recognition of her “ outstanding contributions to the world of scholarship ,scientific work and practice on the role of the importance of employment andwomen in entrepreneurship”). She is the first elected woman scientist who is coming from Serbia.